Did you really think Obi-Wan could defeat this bad guy so easily? Not a chance! 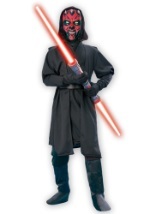 Darth Maul is back with this kids Star Wars costume from the Clone Wars series. The costume includes a polyester jumpsuit with a polyurethane muscle chest and velcro snaps in the back for a comfortable fit. 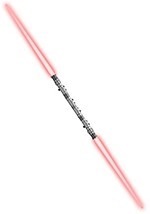 The chest features realistic muscle definition, with Darth Maul's signature tattoos. Black pants and a partial kilt are attached to the bottom at the waist. The included 3/4 mask is made of a vinyl material and fits comfortably with an elastic band. 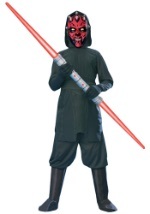 Darth Maul's features are molded into the front, including a scowling face, his Zabrak horns and black and red tattoos. Holes at the eyes allow for clear vision, while holes near the nose and mouth allow for comfortable breathing. 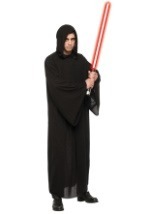 Show all those Jedi scum that you can't keep a good Sith down!